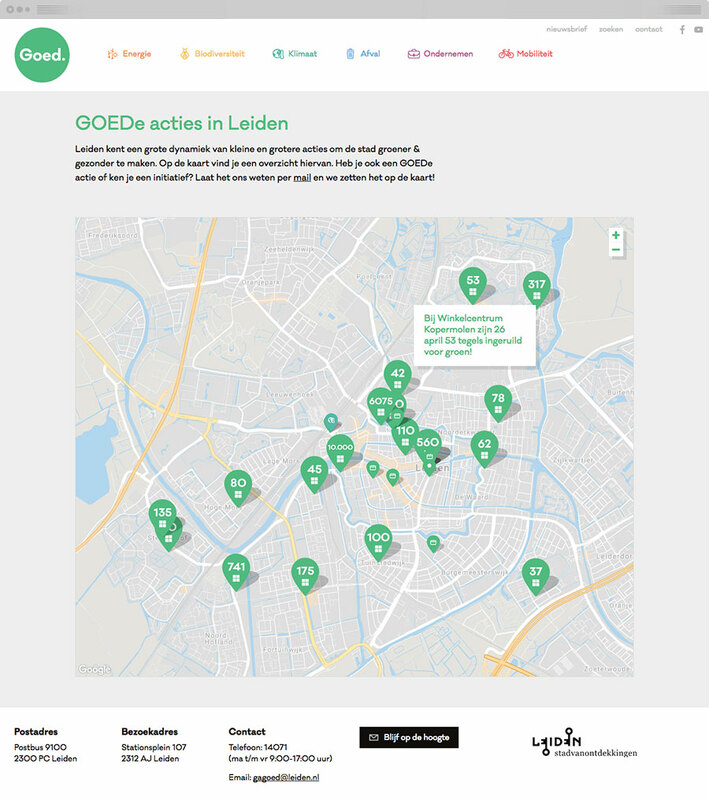 The sustainability department of the city of Leiden needed a dedicated website for all of their activities. 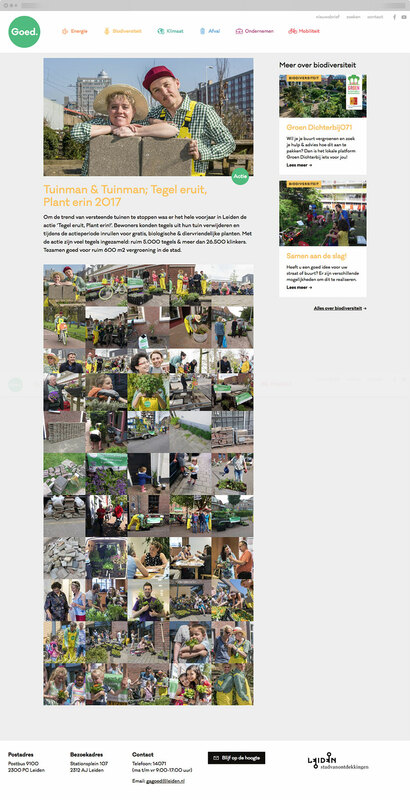 The goal of the website is to inform citizens about upcoming campaigns and events, keep them up-to-date about local initiatives and provide tips for a more sustainable city. The result is a fresh, content-driven website that shows an optimistic approach towards sustainability and invites citizens to take action.